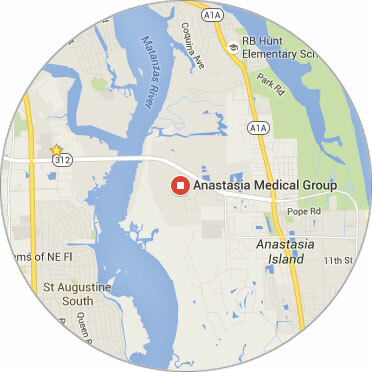 A barefoot walk along the beach on Anastasia Island can be enjoyable well into the fall season, but you may find yourself seeking professional wound care if a broken shell, shard of glass, or another hazard interrupts your seaside stroll. Even a minor puncture wound on the sole of the foot can allow a serious infection to develop and spread. It is best to properly clean and inspect the wound as soon as possible and make sure that anything that may be embedded is removed within the first 24 hours. In most cases, this level of care will prove sufficient. It’s important to remember that a foreign object left in the wound will increase the chance of complications, like infection. The tiny entry associated with a puncture wound easily harbors foreign matter under the skin. Often, it’s difficult to properly treat a puncture wound at home. While this type of wound can appear small, it can quickly become serious if an infection occurs. If you have any question at all about proper cleaning and object removal, consult with your doctor as soon as possible. Professional treatment can help to decrease infection risk. You’ll also want to verify that your tetanus shot is current. A thorough cleaning and foreign object removal by a medical professional or foot and ankle specialist should be followed by careful monitoring at home. Any redness, heat, pain, or the development of a fever are signs that an infection is advancing. Catching an infection early is vital to effective treatment. Sometimes an infection can migrate to the bones. Your doctor can prescribe topical, oral, or injectable antibiotics as needed and help you understand proper cleaning techniques to enable healing. Our feet are our foundation, but they’re also vulnerable to infection. That’s why it’s important to immediately address wounds, even if they seem minor. Proper wound care will help you heal quickly and get back to enjoying many more walks on the beach. If you have any questions about proper foot wound care after an injury, please contact Dr. Pereira to discuss your concerns. He’ll be happy to help you determine whether an office visit is necessary, and he can help you develop a care regimen that works for you.